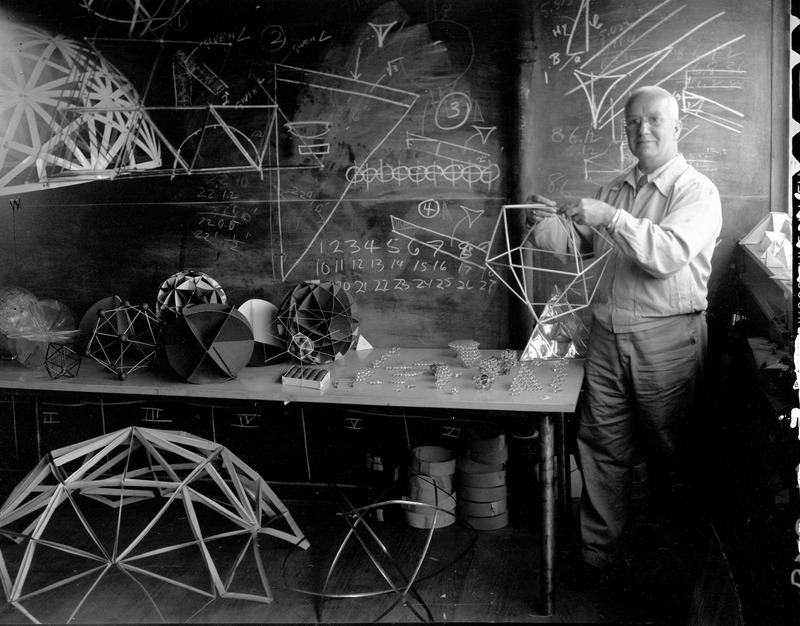 Buckminster Fuller—the visionary, architect, author, mathematician, and inventor of geodesic domes—sought to discover nature’s building principles. This workshop introduces synergetics, a comprehensive energetic geometry system developed by Fuller, through demonstrations and hands-on model building. Materials will be provided. Facilitated by inventor, writer, producer, and educator, Kurt Przybilla. Kurt invented Tetra Tops®, the world’s first spinning top with more than one axis of spin. Inspired by the works of Buckminster Fuller, Tetra Tops® have been featured in The New York Times, Popular Science, Baby Einstein, Child and Discover Magazine, and the Smithsonian Institute. He is co-creator of the Molecularium Project at Rensselaer Polytechnic Institute where he produced and co-wrote the 3D animated film Molecules to the MAX!, the award winning digital dome feature Molecularium, and a game-based online theme park to teach kids about atoms and molecules NanoSpace. Ticketing: This drop-in program is not ticketed. Seating is first come, first served. Support for programming related to Leap Before You Look: Black Mountain College 1933-1957 is provided by Catherine Glynn Benkaim and Barbara Timmer.